Award-winning Scotch whisky producer Isle of Arran Distillers is launching the latest in its Machrie Moor peated whisky collection, which includes the first ever cask strength version of the limited edition Single Malt. 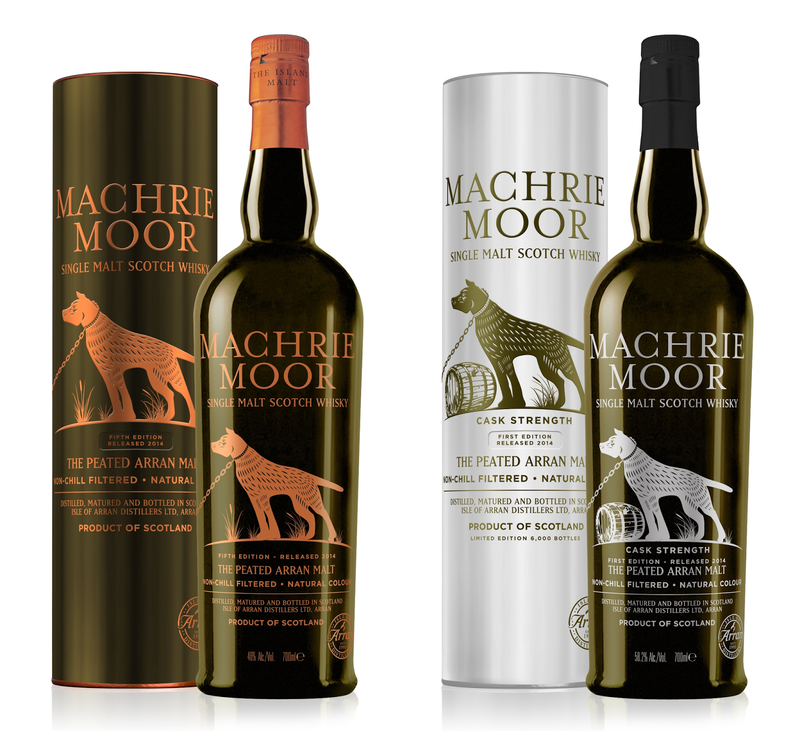 The Machrie Moor Single Malt first appeared five years ago, inspired by the legend of a warrior giant who tethered his dog to a stone in a mystical peat bog called Machrie Moor which lies on the west coast of the Isle of Arran. Later this month the fifth edition of Machrie Moor – the only peated Arran malt – will be released worldwide, alongside a cask strength edition which has been bottled at 58.4% ABV. Both single malts are limited edition and highly anticipated because of their unique flavour. Machrie Moor – The Peated Arran Malt – has hints of vanilla, fresh pineapple and citrus, with an extra punch of peat smokiness on the finish. The cask strength edition has distinct influence of peat and notes of fresh pineapple and a caramelised bourbon cask vanilla finish. Only 12,000 bottles of Machrie Moor Fifth Edition and just 6,000 bottles of the first edition cask strength Machrie Moor will be available when they go on sale on October 6th. The releases will be available to all Arran key markets worldwide including UK, France, Germany, USA, Russia and Japan. Machrie Moor – The Peated Arran Malt (46% ABV) has a RRP of £41.99 while Machrie Moor Cask Strength Single Malt (58.4%) has a RRP of £49.99.